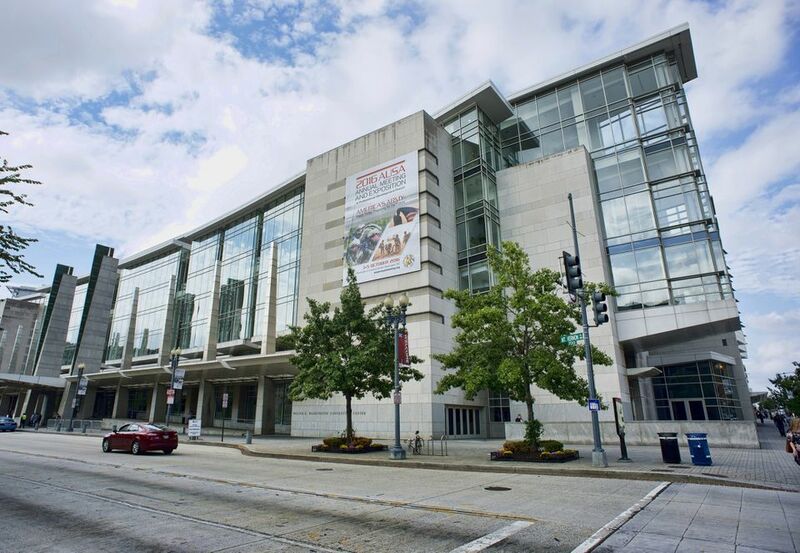 The Washington Convention Center (officially named the Walter E. Washington Convention Center) opened in 2003 and has more than 2 million square feet of space including 70 meeting rooms, 3 ballrooms, and 5 exhibit halls. The modern facility cost $800 million to build and is the largest building in Washington, DC offering state-of-the art amenities for large and small events. The energy-efficient building offers flexible meeting space, several dining options, ATMs, a Business Center, wireless internet, public telephones, a Guest Service Desks and Ambassadors. The Convention Center is a prime place to attend or host an event with its modern and high-tech amenities. Events can be scheduled up to 18 months in advance. With its location in the heart of the nation's capital, in the Penn Quarter neighborhood, the Washington Convention Center is just steps from great hotels, museums, restaurants, and shopping. Chinatown is just one block away and offers a fabulous selection of authentic Chinese restaurants. There are also a wide selection of other restaurants plus major attractions such as the Capital One Arena, Gallery Place, the National Portrait Gallery and the International Spy Museum within walking distance. Building Entrances: There are four public entrances to the building. The main entrance is located on Mt. Vernon Place, between 7th and 9th Streets NW. Other entrances are located on either side of L Street NW (the north side near Rooms 140 and 156, and the south side by Rooms 102 and 103) are also heavily used, especially by guests arriving via shuttle buses. Parking: There are more than 3,000 parking spaces within a three block radius of the Washington Convention Center. See a list of parking lots and garages. Twelve metered public parking spaces designated for vehicles displaying disability parking placards/permits or license tags are located on 9th St.
Events DC, the official convention and sports authority for the District of Columbia, oversees the Washington Convention Center, the historic Carnegie Library at Mt. Vernon Square, RFK Stadium and surrounding Festival Grounds, the non-military functions of the DC Armory and Maloof Skate Park at RFK Stadium. Events DC also built and now serves as landlord for Nationals Park.